Jakobsen, Per; Mansuripur, Masud; Kolesik, Miroslav. Leaky-mode expansion of the electromagnetic field inside dispersive spherical cavity. Journal of Mathematical Physics 2018; Volum 59 (3). ISSN 0022-2488.s doi: 10.1063/1.5006956. Juhász, David; Kolesik, Miro; Jakobsen, Per. Convergence and completeness for square-well Stark resonant state expansions. Journal of Mathematical Physics 2018; Volum 59 (11). ISSN 0022-2488.s 113501-1 - 113501-17.s doi: 10.1063/1.5042523. Måløy, Marthe; Måløy, Frode; Jakobsen, Per; Brandsdal, Bjørn Olav. Dynamic self-organisation of haematopoiesis and (a)symmetric cell division. Journal of Theoretical Biology 2017; Volum 414. ISSN 0022-5193.s 147 - 164.s doi: 10.1016/j.jtbi.2016.11.030. Mansuripur, Masud; Kolesik, Miroslav; Jakobsen, Per. Leaky modes of solid dielectric spheres. Physical Review A. Atomic, Molecular, and Optical Physics 2017; Volum 96 (1). ISSN 1050-2947.s doi: 10.1103/PhysRevA.96.013846. Brown, Jeffrey; Jakobsen, Per; Bahl, Anan; Moloney, Jerome V.; Kolesik, Miroslav. On the convergence of quantum resonant-state expansion. Journal of Mathematical Physics 2016; Volum 57 (3). ISSN 0022-2488.s 032105-1 - 032105-13.s doi: 10.1063/1.4944625. Jakobsen, Per. Exact formula for the high harmonic response of a strongly driven two-level system. Physica Scripta 2015; Volum 90 (2). ISSN 0031-8949.s doi: 10.1088/0031-8949/90/2/025501. Høyem, Marte Rørvik; Måløy, Frode; Jakobsen, Per; Brandsdal, Bjørn Olav. Stem cell regulation: Implications when differentiated cells regulate symmetric stem cell division. Journal of Theoretical Biology 2015; Volum 380. ISSN 0022-5193.s 203 - 219.s doi: 10.1016/j.jtbi.2015.05.009. Kilen, Isak Ragnvald; Jakobsen, Per. Computing the Casimir force using regularized boundary integral equations. Physica Scripta 2014; Volum 89 (11). ISSN 0031-8949.s doi: 10.1088/0031-8949/89/11/115205. Jakobsen, Per. Bidirectional pulse propagation equation for extreme nonlinear optics. Physica Scripta 2014; Volum 89 (9). ISSN 0031-8949.s doi: 10.1088/0031-8949/89/9/095502. Kolesik, Miroslav; Brown, Jeremy M.; Teleki, Aba; Jakobsen, Per; Moloney, Jeremy V.; Wright, Ewan M.. Metastable electronic states and nonlinear response for high-intensity optical pulses. Optica 2014; Volum 1 (5). ISSN 2334-2536.s 323 - 331.s doi: 10.1364/OPTICA.1.000323. Bahl, Anand; Teleki, Aba; Jakobsen, Per; Wright, Ewan; Kolesik, Miroslav. Reflectionless Beam Propagation on a Piecewise Linear Complex Domain. Journal of Lightwave Technology 2014; Volum 32 (22). ISSN 0733-8724.s 4272 - 4278.s doi: 10.1109/JLT.2014.2354631. Jakobsen, Per; Moloney, J. V.. The effect of longitudinal electric field components on the propagation of intense ultrashort optical pulses. Physica D : Non-linear Phenomena 2012; Volum 241 (19). ISSN 0167-2789.s 1603 - 1611.s doi: 10.1016/j.physd.2012.06.004. Kolesik, M; Jakobsen, Per; Moloney, J. V.. Quantifying the limits of unidirectional ultrashort optical pulse propagation. Physical Review A. Atomic, Molecular, and Optical Physics 2012; Volum 86 (3). ISSN 1050-2947.s doi: 10.1103/PhysRevA.86.035801. Jakobsen, Per. Calculating optical forces using the boundary integral method. Physica Scripta 2009; Volum 80 (3). ISSN 0031-8949.s doi: 10.1088/0031-8949/80/03/035401. Jakobsen, Per; Lychagin, Valentin. Stochastic relations and the problem of prior in the principle of maximum entropy. Acta Applicandae Mathematicae - An International Survey Journal on Applying Mathematics and Mathematical Applications 2008; Volum 101. ISSN 0167-8019.s 133 - 143.s doi: 10.1007/s10440-008-9196-4. Jakobsen, Per; Lychagin, Valentin. Maximum Entropy Wavefunctions. Lobachevskii Journal of Mathematics 2006; Volum 23. ISSN 1818-9962.s 29 - 56. Jakobsen, Per; Lychagin, Valentin. Universal Semigroups. Lobachevskii Journal of Mathematics 2005; Volum 18. ISSN 1818-9962.s 107 - 125. Jakobsen, Per; Lychagin, Valentin. Quantizations in a category of relations. Lobachevskii Journal of Mathematics 2005; Volum 17. ISSN 1818-9962.s 61 - 145. Jakobsen, Per; Newell, A. C.. Invariant measures and entropy production in wave turbulence. Journal of Statistical Mechanics: Theory and Experiment 2004; Volum October. ISSN 1742-5468. Jakobsen, Per; Lychagin, Valentin. Relations and quantizations in the category of probabilistic bundles. Acta Applicandae Mathematicae - An International Survey Journal on Applying Mathematics and Mathematical Applications 2004; Volum 82. ISSN 0167-8019.s 269 - 308. Jakobsen, Per; Lychagin, Valentin. Operator valued probability theory. Lobachevskii Journal of Mathematics 2004; Volum 16. ISSN 1818-9962.s 17 - 56. Jakobsen, Per; Lychagin, Valentin. The theory of G-difference Equations. Acta Applicandae Mathematicae - An International Survey Journal on Applying Mathematics and Mathematical Applications 1999; Volum 57. ISSN 0167-8019.s 165 - 204. Lega, J.; Jakobsen, Per; Feng, Q.; Staley, M.; Moloney, J. V.; Newell, A. C.. Nonlinear transverse modes of large-aspect-ratio homogenously broadened lasers: II. Pattern Analysis near and beyond threshold. Physical Review A. Atomic, Molecular, and Optical Physics 1994; Volum 49 (5). ISSN 1050-2947.s 4201 - 4212. Jakobsen, Per; Lega, J.; Feng, Q.; Staley, M.; Moloney, J. V.; Newell, A. C.. Nonlinear transverse modes of large-aspect-ratio homogenously broadened lasers: I. Analysis and numerical simulations. Physical Review A. Atomic, Molecular, and Optical Physics 1994; Volum 49 (5). ISSN 1050-2947.s 4189 - 4200. Ru, Ping; Jakobsen, Per; Moloney, J. V.; Indik, R.. Generalized coupled-mode model for the multistripe index-guided laser arrays. Journal of the Optical Society of America. B, Optical physics 1993; Volum 10 (3). ISSN 0740-3224.s 507 - 515. Powell, J. A.; Jakobsen, Per. Localized States in Fluid Convection and Multiphoton Lasers. Physica D : Non-linear Phenomena 1993; Volum 64. ISSN 0167-2789.s 132 - 152. Moloney, J. V.; Jakobsen, Per; Lega, J.; Wenden, S. G.; Newell, A. C.. Space-time complexity in nonlinear optics. Physica D : Non-linear Phenomena 1993; Volum 68. ISSN 0167-2789.s 127 - 134. Jakobsen, Per; Moloney, J. V.; Newell, A. C.; Indik, R.. Space-Time Dynamics of Wide Gain Section Lasers. Physical Review A. Atomic, Molecular, and Optical Physics 1992; Volum 45 (11). ISSN 1050-2947. Jakobsen, Per; Indik, R.; Newell, A. C.; Winful, H.; Ramen, H.. Diode-laser array modes: discrete and continous models and their stability. Optical Society of America. Journal A: Optics, Image Science, and Vision 1991; Volum 8 (8). ISSN 1084-7529. Jakobsen, Per; Hakim, V.; Pomeau, Y.. Fronts vs. solitary waves in nonequlibrium systems. Europhysics letters 1990; Volum 11 (1). ISSN 0295-5075.s 1924 - . Jakobsen, Per; Newell, Alan C.. An Introduction to Perturbation Theory and Multi-Scale Methods with Application to Nonlinear Optics. 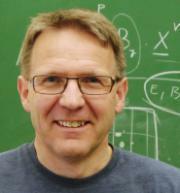 School on Theory and Mathematical modeling of Ultrashort Pulse Propagation 2013-07-28 - 2013-08-02 2013. Jakobsen, Per. The Casimir force. Invitert foredrag 2012-04-17 - 2012-04-19 2012. Jakobsen, Per. The Casimir Force: Nothing is more than it used to be. Invitert foredrag 2011-04-18 - 2011-04-19 2011. Jakobsen, Per; Moloney, J. V.. The influence of longitudinal modes on the propagation of ultrashort laser pulses. AFOSR Nonlinear Optics Meeting 2011-10-18 - 2011-10-19 2011. Jakobsen, Per; Newell, Alan C.. Asymptotic Methods for Intense Field Propagation Equations. School on Theory and Mathematical modeling of Ultrashort Pulse Propagation 2011-03-20 - 2011-03-22 2011. Jakobsen, Per. On The Numerical Calculation of Casimir Forces: A computational challenge. Observability and Theoretical grounding of thermal Casimir forces 2011-01-26 - 2011-01-27 2011. Jakobsen, Per. A unification of Classical and Quantum state spaces. Geometry and Algebra of PDEs 2007-08-12 - 2007-08-17 2007. Jakobsen, Per. Boundary Integral formulation for the Maxwell equation. ACMS working seminar 2007-12-07 - 2007-12-07 2007. Jakobsen, Per. Maximum Entropy Wavefunctions: The role of the Logaritmic Schrødinger Equation. Formal Theory of Partial Differential Equations and their Applications 2006-04-02 - 2006-04-09 2006. Jakobsen, Per. Hva er rom? En matematikers synspunkt. Lørdagsuniversitetet 2002-02-02 - 2002. Jakobsen, Per; Romanovsky, Y.; Lychagin, Valentin. Symmetries and Nonlinear Phenomena 2. Applications to Non-linear Acoustics. 1998. Lychagin, Valentin; Jakobsen, Per. Symmetry and nonlinear phenomena, I. 1997. Jakobsen, Per; Wenden, S. G.; Moloney, J. V.; Newell, A. C.. Turbulent patterns in wide gain section lasers. International Conference on Quantum Electronics 1992-06-13 - 1992. Jakobsen, Per; Indik, R.; Newell, A. C.. Transverse Instabilities in Laser Diode Arrays under Free-running and Injection Locking Conditions. The International Conference on Nonlinear Dynamics in Optical Systems 1990-06-06 - 1990. Jakobsen, Per. Stability and Instability in Two Laser Models. 1990. Jakobsen, Per. The study of particle diffusion from a pure electron plasma contained in an electromagnetic bottle. 1986.